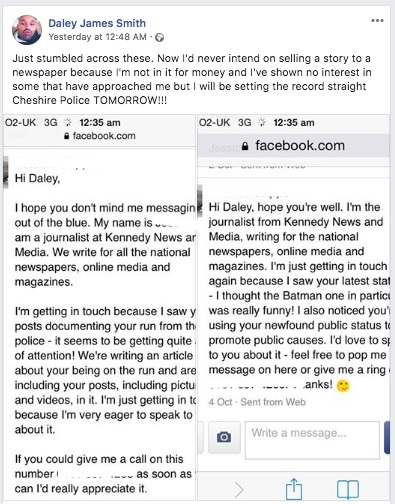 That message was posted after Smith found a message from someone claiming to represent ‘Kennedy News’. All the photos in the Sun’s story carry the ‘Kennedy News and Media’ watermark, which seems odd given that you can see the same images for free on Facebook. Madeleine McCann is missing. 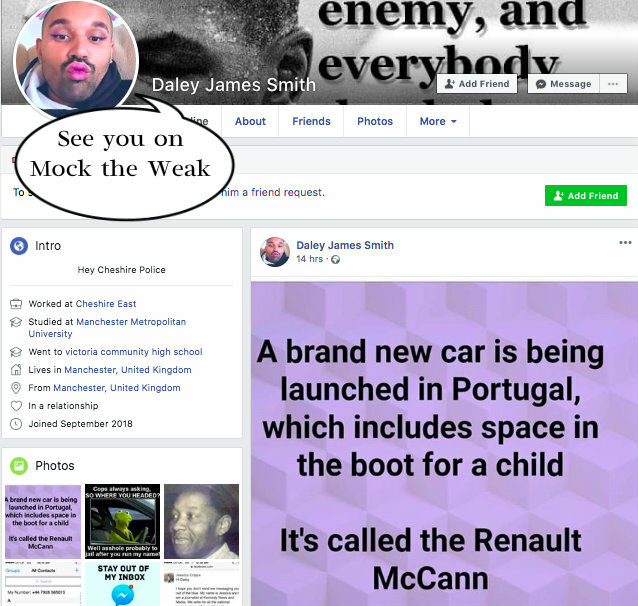 Daley James Smith is in the papers, on tour and on Facebook.